A one-of-a-kind programme! Through fun and interactive activities, children and young people learn that body confidence and self-esteem come from valuing their bodies, standing up to social pressures, and supporting others to be more body confident. By working together, leading others and speaking out, participants will be empowered to make a difference in their local and global communities. Any Girl Guide/Girl Scout group (girl-only and boys and girls mixed), aged 7-14. Why should my group take part? Change lives: Free Being Me has been created with world-leading experts in body confidence. Studies have shown that taking part in activities like those in Free Being Me has a lasting impact on girls’ wellbeing. 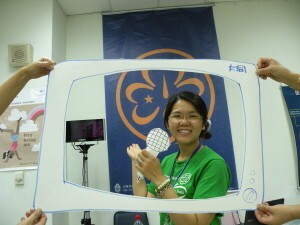 Community reach: at the end of the activities, your group will Take Action! You will reach out to your local community, boosting the body confidence of more children and young people, and raise the profile of Girl Guiding/Girl Scouting where you live. 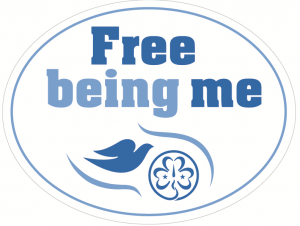 Especially for you: written especially for our non-formal Girl Guiding/Girl Scouting setting, Free Being Me reflects the World Association’s values and focus on developing skills for life. Develop young leaders: Free Being Me is ideal for peer educators or young leaders to run. Peer leaders may help girls and boys feel comfortable with taking a more active part in the activities. There is lots of support available to help you. The activities can be delivered by leaders or peer educators, over five sessions (alternative session plans are available), plus a flexible Take Action project. Everyone in your group should receive a badge at the end of Free Being Me. Help us continue to improve Free Being Me.